Emailing, NEWS, Lifestyle, Entertainment, Information and many more, all these holds a very important role in our lives or, rather, they have become part of our life. Most of the people spend their time in just switching from one website to another. But, MSN Live has actually made it possible to access everything on a single web portal. MSN Live bought a revolutionary change in the sphere of web portals. MSN live in the early times was thought of a search engine only but, now it has emerged out as a fully fledged web portal with all possible facilities. With its popularity and reach to people Microsoft decided to launch MSN app and it was launched for windows and mobile devices in 1990 MSN live is one of the unique services which Microsoft network is providing. MSN live trapped both the home users and business or work users since its initial days. The graphical user interface of both the services is kept so attractive that its user gets involved inside the portal itself.MSN live has been helping all the age groups from 18 to the elder ones. It has got a wide range of facilities and services. The MSN Live service is a dynamic service which keeps on adding the features and permissiveness. The users feel very conformable in using all their data stored in the app, they can easily message or email friends and others as well as they can read their emails from any device be it a mobile, computer, laptop or tablet. 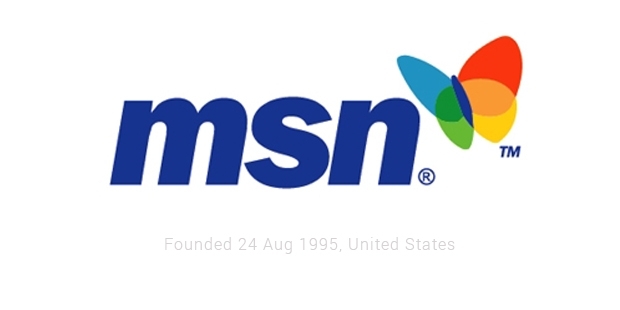 In early 2000’s when Microsoft provides all its NEWS, entertainment and other information and facilities from its website www.msn.com to mobile devices, it was an amazing initiative for the people who goes to office and work at home. It was difficult for everybody to read or access everything on computer and laptop. They wanted something to access over their smart phones. This facility of accessing all the data of the web portal on mobile devices was praised by many users and they started enjoying their uninterrupted usage. Since then the app has been being downloaded by a number of people and they are experiencing the benefits of saving time and getting all updates handy. Here one can easily manage all the data. Even the data architecture. The design, look and feel of the web portal changed many a times and the latest is the result of 2014 redesigning. MSN live service is the most widely used services of Microsoft Network. It is being praised and awarded because of its managed upto 25 MB (Mega Bytes) can be shared on it. For larger data one can use Onedrive service of MSN. This is a service which helps its user to save and share data larger quantities of GBs. Upto 15 GB it is free of cost and later it is chargeable. MSN live has made communication easier and faster.